Last week I posted about the Super NES EarthBound prototype and/or review cart that was on eBay. The auction ended yesterday, and after 13 bids it sold for about $584. Who bought it? What’s on the cart? Is it a review copy of the final build? Or does it have a work-in-progress version of EarthBound on it? 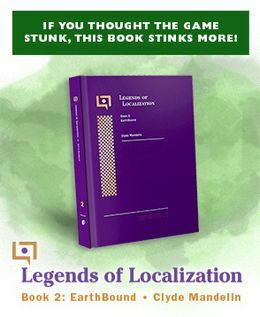 Judging from all stuff in the magazine reviews and the weird things in the EarthBound Player’s Guide, it’s possible there are not-fully localized review copies floating around out there somewhere. We’ll just have to wait and see who won it and hope they’re willing to dump its contents so we can find out. Cheap, considering the price of the other protos. Right? I’m surprised it went so low. Hopefully whoever bought it decides to dump it, I think that would be really interesting (And probably open up a slew of translation changes). Seeing how big the cart is or the chip w/e its called, it might be somewhat of a pain to play it on the SNES. Might have to sacrifice a SNES cart but that big game won’t fit in the cart. It was never seen or heard from again.